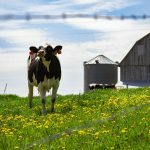 University of Wisconsin-Extension will offer a number of meetings across the state for farmers interested in learning about the new Dairy Revenue Protection program, a new federal insurance tool, with a quarterly payout to dairy farms when milk revenue falls below their insured revenue level. 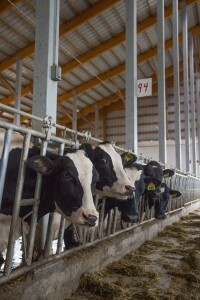 Mark Stephenson Director of the UW-Center for Dairy Profitability will provide a comprehensive overview of the Dairy Revenue Protection program and updates to the FSA Dairy Margin Protection Program (MPP), as another tool for dairy farmers when milk prices are low. Important changes to the MPP have been introduced in the Farm Bill that may make this program worth a second look. There is no fee to attend the meetings. Registration is recommended for meeting materials. The following UW-Extension meetings on the Dairy Revenue Protection program are available by date and location. For registration, more information and questions, contact the UW-Extension office by meeting location. Thank you to the Wisconsin Farm Bureau and other partnering organizations for their sponsorship of meeting refreshments, where applicable.